Real training by real professionals ensures that your athlete gets the right information to maximize their potential. Perhaps Donald Brady should be referred to as King Midas – because anything he touches turns to pure gold. Brady has been a superstar since his early beginnings at Mepham High School where he was an all around star athlete. In track and field he received All-State, All-Conference and All-County honors in the triple jump. However, his star shone brightest in football where he was an all-county selection. As a senior he rushed for 984 yards and 11 touchdowns. After his senior football season Brady wasn’t bombarded with offers from major division 1-A programs. The only offers the raw and rangy 5’11” 165lbs high school running back/cornerback fielded were from smaller college programs but Brady had a gilded vision of playing in big Bowl games on the major college football stage, a vision that would become a reality. This wasn’t exactly a disappointment for Donny but more like incentive to get there. To Brady, Nassau Community College wasn’t a disappointment but a great opportunity. He had the pleasure to play for one of the top junior college football programs in the nation but most importantly he was also able to improve his grades and increase his size and skills. That plan was ultimately a success and he was a standout performer during his 2-yr career at Nassau Community College (Uniondale, NY) at cornerback. He contributed to the team’s 21-1 record over those 2 seasons with 91 total tackles, 15 pass deflections and five interceptions. With 2 yrs of the development of his size and skill Donny reaped the benefits of his hard work and was offered a full scholarship to finish his remaining two years of eligibility in the mighty Big Ten conference as a University of Wisconsin Badger. Two years removed from his previous undeveloped rangy frame enters a 6’1” 180lb more experienced Brady as he steps on the major college football stage as a Wisconsin Badger. And what larger stage could the 80th Rose Bowl game on New Year’s Day in 1994 be for a cornerback who two years prior played for a community college? In that game, Brady helped the Badgers get a win over UCLA; from community college to Pasadena in one year – not a bad jump. Even upon arriving at UW, Brady wasn’t immediately pegged as a starter partly because of entering the season with a sprained knee injury that hampered him. But after rebounding with 36 tackles (27 solo), three interceptions and four pass deflections not to mention a key pass deflection in a 21-16 decision over UCLA in the Rose bowl, Brady was primed for greatness. Brady finished his Badger career during his senior year with 58 tackles (48 solo) and seven pass deflections. He was now eyeing his ultimate goal – reaching the NFL. But after finishing his career at UW he wasn’t drafted. Then again Brady was used to being considered the underdog and played the position to his advantage. Brady was picked up as a free agent by the Cleveland Browns on May 2, 1995, but unfortunately was dropped before the preseason. Surely, quitting wasn’t in his nature. The NFL was something he envisioned as far back as he can remember. In order to stay sharp and ready in case the opportunity rang again, Brady ventured to the Canadian Football League and did a brief stint with the Saskatchewan Roughriders. And on December 13, 1995 the phone did ring and it was the Browns offering him a spot on their practice squad. Three days after working out on the practice squad Brady was activated on the regular season roster where he saw action in two games on special teams. The next season after the team moved to Baltimore Brady continued to impress the Ravens coaching staff. 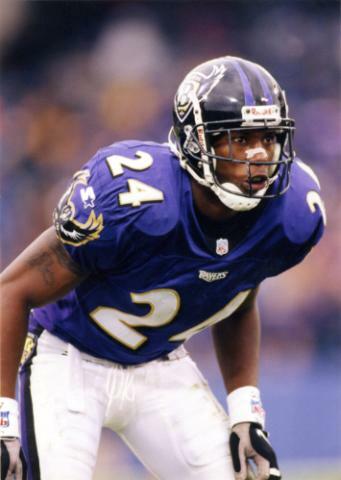 In week 4 of the 1996 season, he moved in to the starting right cornerback position and started the remaining 13 weeks finishing with 66 tackles and 10 passes defended. Brady remained with the Ravens for the next two seasons seeing action in 45 of 48 games also excelling on special teams where he led the team in 1997 with 19 special team tackles and finished third in 1998 with 14. A nagging knee injury from college came back to haunt Brady when he became a free agent. Doctors informed him he had torn ligaments in his right knee that never fully healed. After sitting out the next two seasons extensively rehabbing his knee he was ready to return to action. During that time Brady was able to work as an assistant with the Wisconsin football strength and conditioning program. That experience opened his eyes to the possibilities of training. His love for the game wouldn’t ever allow him to leave but he knew that through that venture he could help other passionate athletes such as himself in their vision. He believed his time on the field had not run out just yet and he was confident he’d get to prove just that. On April 2, 2002, the CFL called and presented him with another opportunity and Brady inked a deal with the Edmonton Eskimos. He tucked away his passion for training and made playing his main focus, knowing that in his heart he could revisit it at a more appropriate time. During his CFL career Brady became known as one of the leagues most physical and aggressive defenders, often lining up against the opposing teams best receivers. Upon his arrival in Edmonton, Brady was an immediate impact player for the Eskimos. While with the Eskimos he helped lead the team to three Grey Cup appearances (2002, 2003, 2005) winning the title in 03’ and 05’. During his six seasons in Edmonton, not only did Brady have a reputation as one of the leagues most gritty and gifted defensive backs, but that same reputation earned him the accolades to prove it. Brady was named CFL All-Star in 2003 & 2005, West Division All-star in 2003 & 2005 and also awarded Defensive Player of the Week twice in both 2003 and 2004. As Brady’s career came to an end in 2006 he knew he wanted to stay close to the game of football and from working with the UW football strength and conditioning program he knew athletic training could be a considerable outlet for that. Even with a ten year long career in football he did not want to limit his training methods to just training football players. Instead he wanted to expand this challenge of building the elite athlete to accommodate all athletes of all sports, even recreational fitness aficionados. The purpose was to turn the average athlete into an elite athlete. Having trained elite athletes such as Chris Chambers (San Diego Chargers), Lee Evans (Buffalo Bills), Sean Lyons (Long Island Lizards LAX), and Jim Leonard (New York Jets), Brady knew he could help cultivate top athletes. In 2006, Brady cultivated his dream and opened his own training group. The idea was to not only facilitate football athletes, but to take the average athlete of any sport and fine tune their abilities. It was to not only develop them physically but to enhance them mentally which is an often forgotten key component. Brady wanted for his athletes to build the confidence, determination and willpower to understand any feat can be accomplished in life on or off the athletic fields. Proficient Sports Training takes an athlete’s vision and brings it to fruition. The goal of Proficient Sports Training’s staff is to infuse the spirit of Donald Brady’s in the shaping of the athlete’s path to accomplish their ultimate goals. 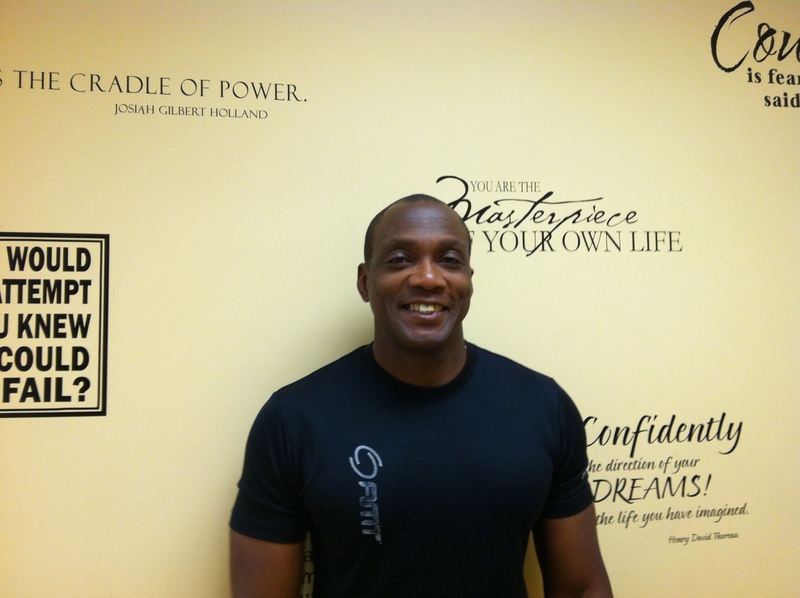 Coach Jude Massillon, an accomplished ex collegiate and pro-athlete, is now the premier “king-maker” Sports Performance Coach and one of only 2 Nike-rated trainers in the New York metropolitan area. Coach Massillon is currently responsible for instituting training and dietary standards, preparing rehabilitation programs and creating injury treatment strategies for 19 Olympic track and field athletes. He has trained athletes such as World and Olympic champion Ezekiel Kemboi, World athletics final winner Michael Blackwood, NBA players Charlie Ward and Marcus Camby, NFL players Simeon Rice, Kevin Hardy, Eric Berry, Julius Peppers and Lamar Houston . Coach Massillon is the former owner of ProPrep Football, where he successfully placed 43 players in the 1st round of the NFL draft over a 10 year period . In addition to earning an M.S. degree in Exercise Science and NYS Paramedic Certification, Coach Massillon is also a Certified Strength & Conditioning Specialist (CSCS) with the National Strength & Conditioning Association and a Corrective Exercise Specialist (CES) with the National Academy of Sports Medicine. Coach Massillon is also a contributor to STACK magazine and the author of The Athlete’s Body Within. Sean Binckes currently coaches at Nassau Community College where he serves as the team’s Offensive Coordinator, Wide Receiver Coach, and Strength and Conditioning Coach. He is in his second year coaching at Nassau. 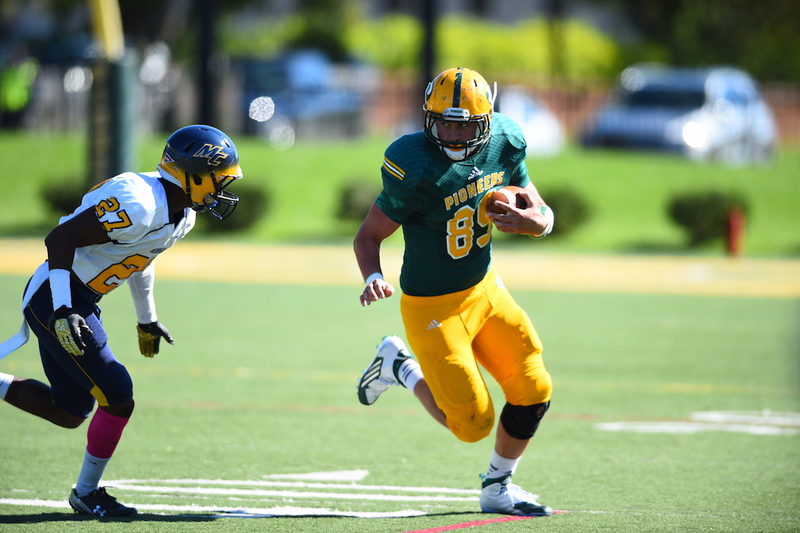 Prior to coaching, Binckes spent the offseason training with Donny Brady dating back to sophomore year of high school leading to an impressive career as a Tight End for the LIU Post Pioneers. During his career, he was named a Don Hansen Football Gazette All-American Honorable Mention, a two year All-Super Region selection, and a two year All-Northeast 10 honoree. He was also honored as one of 135 semi-finalists for the William V. Campbell Trophy awarded to the top student-athletes in the nation across all divisions. He also graduated holding two school records for career receptions and touchdown receptions in a single game. Binckes graduated from LIU Post with a Bachelor’s Degree in Health Sciences and a minor in Sports Management. Binckes was born and raised in Brooklyn, New York where he attended Xaverian High School.